Arrive NO LATER than 2:15 pm. Earlier is better; anticipate traffic/parking delays. 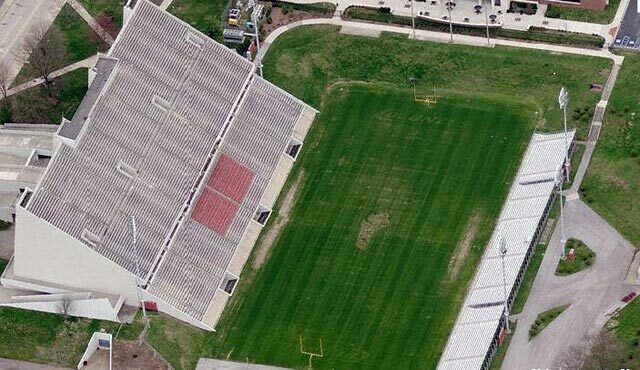 We will meet OUTSIDE of Roy Kidd Stadium by the entrance to Gate 4 (home side, close to scoreboard and highway, bottom left of picture below). We will enter the stadium with the marching band, then walk to the other side (behind the visitor's stands) to warm-up and line up. PLEASE NOTE THIS IS DIFFERENT PROCEDURE THAN IN PREVIOUS YEARS.